NON-INSULATED FIRE RATED ROLLING STEEL – COOKSON – ERC10 doors are engineered to preserve property, and more importantly, lives. This advanced system offers industry-leading, interactive operation and can activate thermally or electrically to contain the spread of fire and smoke. It can also effortlessly or automatically reset or auto open after a fire or power outage. 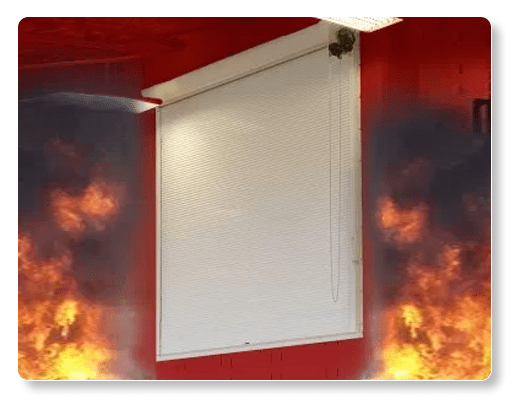 The optional SmokeShield® feature conforms to UL1784 and assures that smoke will be contained with the fire and not spread rapidly throughout the facility, allowing safe egress for its occupants. They are custom built and can be optionally be insulated as well (model ERD20).